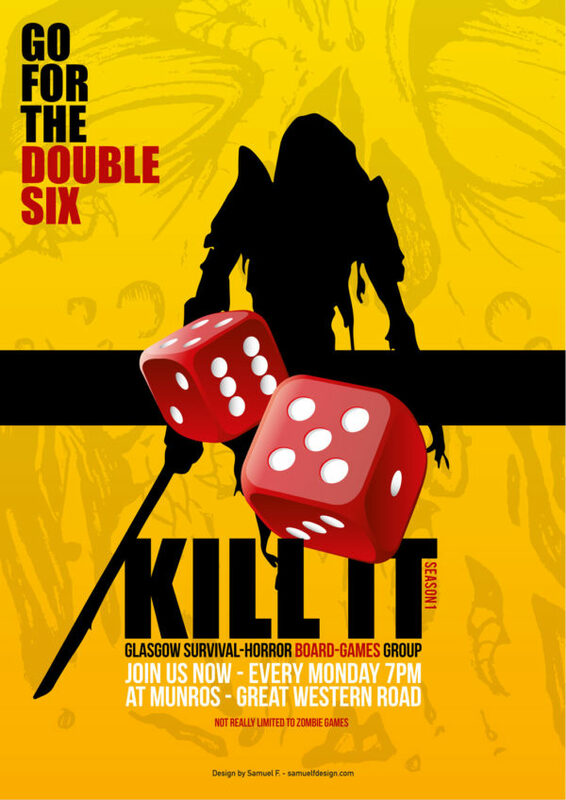 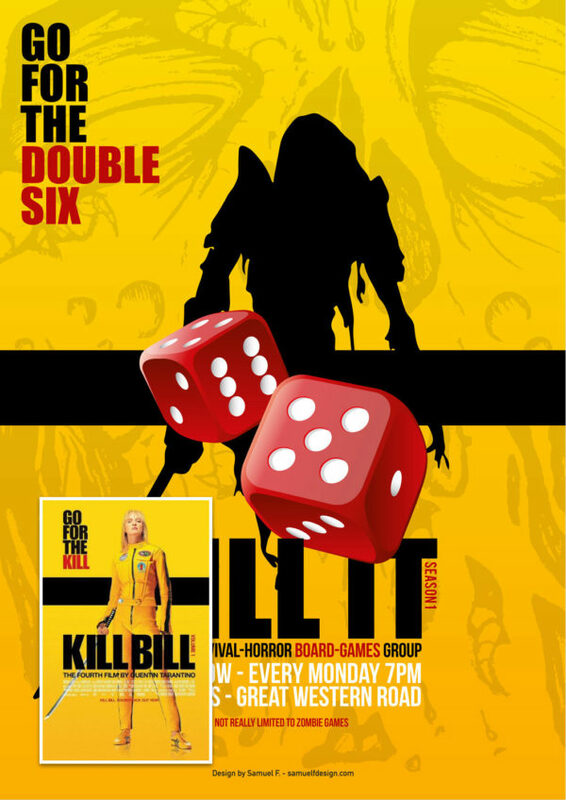 The Glasgow board game group is a local gaming association. 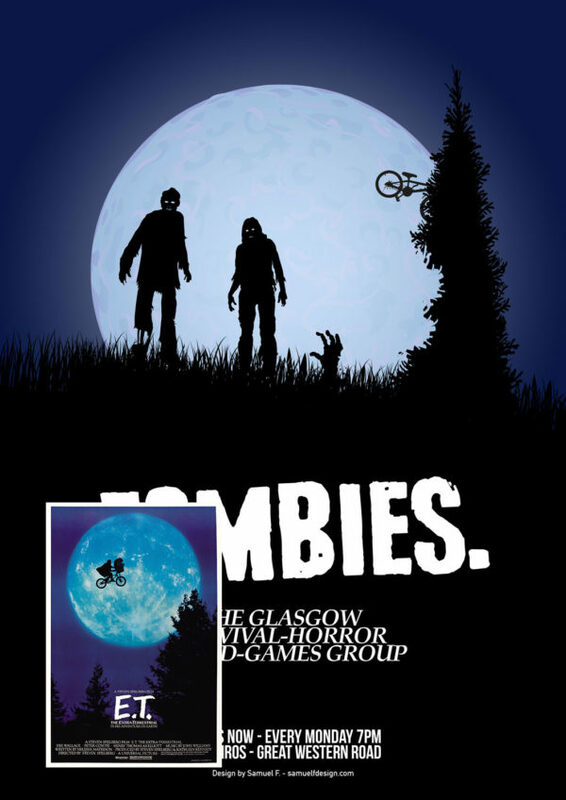 These two posters were ordered by Munro’s Pub who was partner and hosted this club. 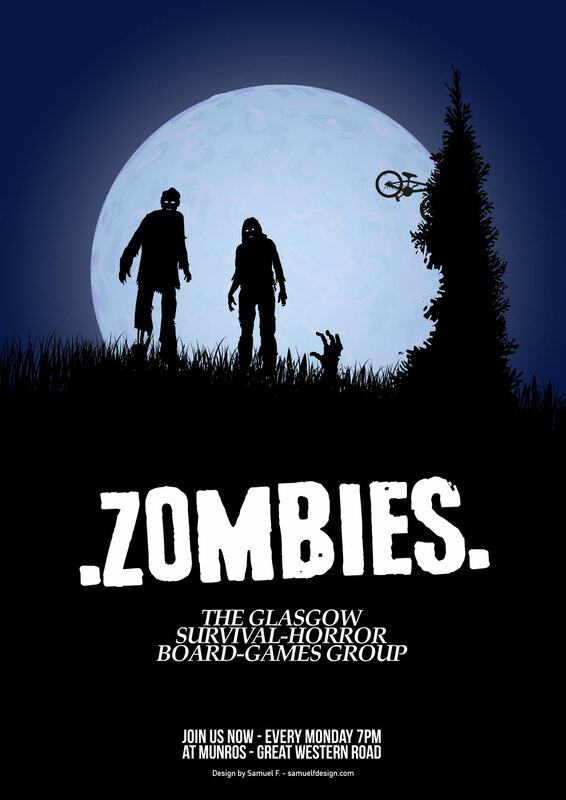 One request was to parody / imitate famous movies posters with puns or dark humour twists.